Some of us are old enough to remember double features, but they were in movie theatres, not concert halls or recording studios, and, as memory serves, were never quite as enchanting or memorable as this one. The first half of this elegant Double Feature showcases the Stan Kenton Orchestra in two concerts, from the St. Francis Hotel in San Francisco (February 1959) and Chicago's Blue Note (one month later).  The second half, encompassing studio sessions from February and April 2010 by the splendid DePaul University Jazz Ensemble, consists of seventeen charts from the Kenton book that were never recorded until now. The Kenton orchestra's San Francisco performance (Disc 1, tracks 1-14) is evidently a dance date, as tempos are generally slow to moderate and the charts, which consist almost entirely of standards from the Great American Songbook, are neatly tailored for dancing by topnotch craftsmen Lennie Niehaus, Gene Roland, Gerry Mulligan, Johnny Richards, Joe Coccia, Wayne Dunstan and Kenton himself. While the ensemble holds most of the cards, there are tantalizing solos along the way by Niehaus, tenors John Bonnie and Bill Trujillo, trombonists Kent Larsen and Archie LeCoque, and especially trumpeter Rolf Ericson, a standout on "I've Never Been in Love Before" and "Younger Than Springtime." Niehaus, who is credited with revitalizing Kenton's dance book, arranged four numbers, Kenton five. The charts by Coccia ("With the Wind and the Rain in Your Hair"), Roland ("Tuxedo Junction") and Dunstan ("When Your Lover Has Gone") are among the session's high spots. Sound quality is remarkably clean, with one notable exception; ironically, Kenton's piano sounds clunky and out of sorts, and that's by no means his fault. The performance at the Blue Note (tracks 15-20) consists of a half-hour radio broadcast (WBBM) on which Kenton introduces most of the numbers, with closing remarks by an unnamed announcer over the orchestra's closing theme, "Artistry in Rhythm." This is music for listening, not dancing, with incendiary arrangements by Richards ("I Concentrate on You"), Niehaus ("Don't Get Around Much Anymore"), Roland ("Street Scene," "It's All Right with Me") and Ray Wetzel's head arrangement, "Intermission Riff," preceding "Artistry." Soloists are able to stretch more, and Niehaus takes the bull by the horns with an emphatic statement on "It's All Right with Me." Others who shine include Ericson, Trujillo, trombonist Jimmy Knepper, baritone Billy Root and bassist Carson Smith (who sets the pace on "Don't Get Around Much"). The rhythm section is typically assertive, even though drummer Jerry McKenzie had been replaced by Jerry (Lestock) McKenzie. No, that's not a misprint. The sound is acceptable but doesn't measure up to the San Francisco date, on which the orchestra is heard to better advantage. Although the seventeen songs on Disc 2 (deftly performed by the DePaul ensemble) may have been an essential part of the library (there's no sure way to know) as the Kenton orchestra criss-crossed the country on one-night concert dates, these particular arrangements never made it as far as a recording studio, the only reason for which must be that there were only so many albums that could be produced. In terms of merit, most if not all of them would certainly have warranted inclusion on any Kenton recording. Again, the tasteful charts are by Niehaus, Coccia, Roland and Dunstan, plus four by Bill Russo and three by Bill Holman. Some seem to have been written for the dance book, others in a more swinging mode. The program consists for the most part of standards, reinforced by a handful of originals (Miles Davis' "Four," Illinois Jacquet's "Robbins' Nest," George Shearing's "Lullaby of Birdland," Roland's "Opus in Orange," Holman's "Borrocho"). Russo scored "Birdland," "Easy to Love," "Just You, Just Me" and "East of the Sun," Holman "Borrachio," "Indiana" and "What a Difference a Day Makes." "New" music by Stan Kenton is always a pleasure to hear, whether recorded by the orchestra itself or a new generation of champions, as on Disc 2. Hats off to Bill Lichtenauer at Tantara Productions for conceiving the idea and seeing it through. The good news is that this excellent anthology is now available; the even better news is that it is subtitled "Volume 1," which means that even more of this remarkable music may be in the pipeline. As this high-stepping album arrived sans liner notes, it's hard to ascertain whether Captain Black is a made-up nickname (like The Captain and Tennille) or a member of the ensemble. If he (if it is a he) is one of the sidemen, a reasonable assumption would be that the Captain is pianist Orrin Evans, as he wrote four of the album's seven numbers (including "Captain Black"), shares the spotlight with tenor saxophonist Victor North on Gianluca Renzi's "Here's the Captain" and, even more decisive, serves as the band's music director. Be that as it may, the ensemble clearly has come to play, rocking the house in three concert sessions, one at Chris' Jazz Café in Philadelphia, the others at The Jazz Gallery in New York City. 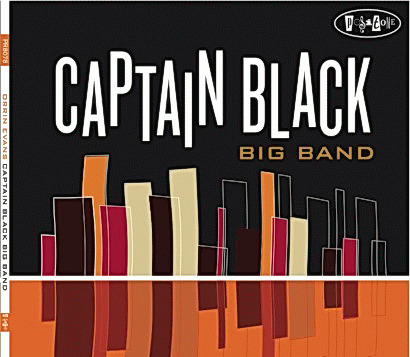 Make no mistake, this is an earnestly swinging band, albeit in a contemporary vein, and there's no better example of that than the well-grooved "Captain Black," which shuffles merrily along behind crisp solos by pianist Jim Holton, tenor Ralph Bowen and trombonist Stafford Hunter. The thought occurs, in fact, that it wouldn't have been a bad idea to open with that number instead of Ralph Peterson's "The Art of War" (the lone track recorded in NYC), which has its moments but is a tad too frenzied and choppy to stand its ground with "Captain Black" (even though the audience seemed to love it). There is one extended moment of repose (more than eleven moments, in fact) on Evans' medium-tempo "Easy Now," neatly arranged by Todd Marcus and featuring bright solos by trumpeter Tatum Greenblatt and baritone Mark Allen Felton. The impulsive finale, Evans' "Jena 6," is reminiscent of Charles Mingus' big-band work, its dark-hued theme encompassing a free-wheeling and ultimately raucous manifesto by alto Jaleel Shaw. More candid are Marcus' "Inheritance" (on which his bass clarinet is out front with trumpeter Michael Walter White and drummer Anwar Marshall) and Evans' buoyant "Big Jimmy," whose perceptive soloists are White, Bowen and Marshall. While the album is respectable from end to end, the more precious nuggets are to be found in its midsection (tracks 2-5). The ensemble is equal to any challenge laid before it, the sound as unsullied as could be envisioned from concert dates. A purposeful and at times uneven recital whose strengths easily outflank its weaknesses. Kinda Fabulous, by Washington State University's Jazz Big Bands (plural), spans the years 2006-08, albeit not in that order, and does its level best to live up to the album's swaggering title. 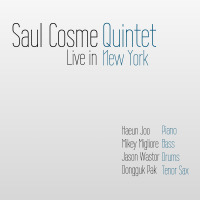 These engaging sessions, which swing easily along from end to end, embrace three compositions by director Greg Yasinitsky, another by band member Adam Donohue (the samba "Ofuscato," on which his tenor sax is showcased), a brace of standards ("Our Love Is Here to Stay," "Secret Love") and impressive themes by Bob Curnow ("Paprika"), Bob Florence ("Dukeisms"), Thelonious Monk ("I Mean You") and Frederick Snyder ("Denise"). There's also a brief, unlisted "bonus" track, the WSU Fight Song. Clearly, Yasinitsky has stressed the importance of color, dynamics and unison, each of which is present in abundance as the bands (four in all) unravel the various charts. Moreover, the students never lose sight of what big bands are all about, namely swinging, regardless of mood or tempo. It has been said that good bands are built around good drummers, and WSU has two: Tiffany Stephens (tracks 1, 3, 10) and Ted Powers (2, 4-9). Stephens rocks the house on "Paprika," "Secret Love" and Yasinitsky's "Chill Factor," Powers on "Dukeisms" and Yasinitsky's "Kinda Fabulous." Other sections are invariably strong, the trombones especially so on the director's lively arrangement of "Secret Love." Donohue, eloquent on "Ofuscato," is equally well-spoken on "I Mean You," while the talented John Gronberg has center stage to himself on "Denise" (flugelhorn) and Yasinitsky's "Granite State" (trumpet). Other soloists, none less than pleasing, include vibraphonist Paxton Gehling, trumpeter Brendan McMurphy, alto David Crow, tenor Wes Maples, baritones Matt Lanka and Patrick Sheng, pianist Max Heath, guitarist John Sterling and bassist Troy Robey. From the opening measures of "Chill Factor," the palpable impression is that these bands mean business, an appraisal that is borne out on every succeeding track. Add to that an astute blend of music and a series of admirable charts and the result is high-caliber big-band jazz. Not only do the WSU bands prepare, wrap and seal this colorful package, they also deliver. When it comes to big-band jazz, the world started breathing down our necks some years ago. Has it caught up? That is surely a matter of opinion. But no matter which side of the fence you are on, it would be hard to disagree with the assertion that Norway's Tromso Big Band plays about as well as any contemporary ensemble, no matter its origin or place of residence. This is a relatively young group (formed in 2004) performing uncommonly challenging music, and doing so with what seems to be relative ease and confidence. As In Traffic was recorded in a studio, there's no way to know whether any techniques were used for audio enhancement, but the finished product is as clean and polished as a family's special silverware. The music itself, as noted, is demanding. It consists of five compositions (including one suite) written by composers based in the northern area of Norway. Two ("Moods," "In Traffic") were written by Tromso's music director, Fred Glesnes, who doubles on tenor saxophone and flute. Asbjorn Ruud penned the two-part "Arctic Suite," Anders Eriksson the unduly somber "Bolero at Bleiks Island." None of them can be characterized as easy listening, and two ("Moods," "Bolero") are almost fourteen minutes long. The closest the band comes to swinging as it is commonly understood is on Glesnes' charts, and even then it does so without a strong sense of enthusiasm. The music is far too purposeful for that. Glesnes is one of several capable soloists who do their best to add color and animation to the proceedings. He solos tastefully with pianist Einar Berg-Olsen, guitarist Kjetil Andreassen, drummer Ole Morten Lekang and percussionist Espen Hogmo on "Moods." Fellow tenor Hakon Erlandsen is out front with bassist Per Martin Grenlund on Part 1 of the "Arctic Suite," Andreassen and Lekang on Part 2. Alto Rolf Figenchou and trombonist Torbjorn Ingvaldsen are persuasive on "Bolero," trumpeter Marius Haltli likewise on the bustling "Traffic." While Tromso is a splendid group on its own terms, it isn't Basie, Herman or even Buddy Rich; it's more akin to Maria Schneider, Carla Bley, Darcy James Argue or Boston's Either/Orchestra. In that sphere it acquits itself quite well, and those who admire the aforementioned ensembles should have no trouble warming to the Tromso Big Band and its debut album, In Traffic. In October 2010, hundreds of friends and colleagues of the late trombonist / educator Arthur Wilson gathered at Henry Wood Hall in London to celebrate his life in the Arthur Wilson Memorial Concert. Performers included the London Brass, Pete Beachill's Big Broad Band and a massed choir of trombonists, all of whom were former students of Wilson who died in July '10 at age eighty-three. As Wilson was a renowned trombonist, it was altogether fitting (and planned?) that there should be seventy-six performers onstage. Wilson, a largely self-taught musician, was (before his retirement) senior professor of trombone at London's Royal College of Music, principal trombonist of the Philharmonia Orchestra and English Chamber Orchestra, a founding member of the Philip Jones Brass Ensemble (forerunner of the London Brass) and co-principal of the Royal Opera House. He performed and recorded with many of the greatest conductors of the twentieth century including Herbert Von Karajan, Otto Klemperer, Arturo Toscanini, Carlo Maria Giulini, Daniel Barenboim and Benjamin Britten. While much of the concert consists of classical, folk and traditional themes, the presence of the Beachill band represents Wilson's lifelong love of jazz. Numbers were chosen to encompass various periods in his life, ending (appropriately) with Jimmy Webb's "MacArthur Park," a staple in the Maynard Ferguson band's book. Wilson's last visit to Ronnie Scott's jazz club in London was to hear the Ferguson band shortly before Maynard's death. The Beachill band opens with Sammy Nestico's "Basie Straight Ahead," segues into Jerome Kern's "All the Things You Are," changes pace with Bill Russo's Cuban-inspired "23 Degrees North, 82 Degrees West" (with its evocative trombone chorale), and sprints through Miles Davis' "So What" and Jay Chattaway's "Superbone Meets the Badman" (written for Ferguson) before closing with the well-known "MacArthur Park." The splendid London Brass raise the curtain with three traditional songs"King's Hunting Jug," "Greensleeves," "Agincourt Song"continue with two movements from a divertimento by Ray Premru, and round out their part of the program with what may to some seem an odd choice, saxophonist Pee Wee Ellis' funky anthem, "The Chicken." The brass, as is its custom, makes it work. Several of Wilson's former students are up next, performing (as a trio) Bruckner's "Two Equali" and (as a quartet) Beethoven's "Hymne an die Nacht" and Mozart's "Ave Verum." The massed trombone choir of Wilson's students, fifty strong, performs Bruckner's "Motet: Locus Iste" and the traditional hymn, "Just a Closer Walk with Thee," before Beachill's tight-knit ensemble places an emphatic exclamation mark on the concert. Beachill, another of Wilson's students, spars with baritone saxophonist Jeff Daly on "Superbone" and swaps swaps phrases with pianist Rob Barron on "So What." Barron is showcased on "All the Things You Are," tenor Tommy Laurence on "Basie Straight Ahead." Alto Jamie Talbot and trombonist Trevor Mires are front and center on "23 Degrees North," trumpeter Andy Greenwood, trombonist Barnaby Dickinson, tenor Pat Clahar and drummer Ralph Salmins on "MacArthur Park." No fault can be found with any of them. A warm-hearted remembrance, especially recommended to trombone lovers. Tracks: CD1: With the Wind and the Rain in Your Hair; Street of Dreams; Tuxedo Junction; I've Never Been in Love Before; Where or When; The Night We Called It a Day; Younger Than Springtime; All of You; Early Autumn; When Your Lover Has Gone; The End of a Love Affair; Don't Take Your Love from Me; The Nearness of You; The Party's Over; I Concentrate on You; Don't Get Around Much Anymore; Street Scene; It's All Right with Me; Intermission Riff; Artisty in Rhythm / Sign Off. CD2: 'Round Midnight; Take the "A" Train; Cabin in the Sky; Four; The Midnight Sun; Flamingo; Robbins' Nest; Opus in Orange; Perdido; That's All; Lullaby of Birdland; Easy to Love; Just You, Just Me; East of the Sun; Indiana; What a Difference a Day Makes; Borracho. Personnel: CD1: Tracks 1-14: Stan Kenton: leader, piano; Frank Huggins: trumpet; Bud Brisbois: trumpet; Rolf Ericson: trumpet; Joe Burnett: trumpet; Roger Middleton: trumpet; Lennie Niehaus: alto sax; Bill Trujillo: tenor sax; John Bonnie: tenor sax; Billy Root: baritone sax; Sture Swenson: baritone sax; Archie LeCoque: trombone; Kent Larsen: trombone; Jim Amlotte: trombone; Bob Olson: bass trombone; Bill Smiley: bass trombone; Red Kelly: bass; Jerry McKenzie: drums. CD1: Tracks 15-20: Jimmy Knepper: trombone, replaces Bob Olson; Jim Amlotte: bass trombone; Carson Smith: bass, replaces Red Kelly; Jerry Lestock McKenzie: drums, replaces Jerry McKenzie; Mike Pacheco: Latin percussion, added. CD2: Bob Lark: director, trumpet solo (16); Chuck Parrish: trumpet; Ethan Bulak: trumpet; Kazumasa Terashima: trumpet; Tim Bales: trumpet; Justin Woodward: trumpet (5, 7, 13, 15, 17); Joe Clark: trumpet (1-4, 6, 8-12, 14, 16); Corbin Andrick: alto sax; Michael Fenoglio: alto, baritone sax; Drew Pierson: tenor sax; Alex Beltran: tenor sax; Rocky Yera: baritone sax; Mark Hiebert: baritone sax (11, 16); Andrew Thompson: trombone; Jeff Livorsi: trombone; Andrew Johnston: trombone; David Hagee: bass trombone; Skyler Johnson: bass trombone; Harunobu Tsuchida: piano; Keisuke Yamada: guitar; Joe Policastro: bass; Nick Kabat: drums. Tracks: Art of War; Here's the Captain; Inheritance; Big Jimmy; Captain Black; Easy Now; Jena. Personnel: Luke Brandon: trumpet; Daud El-Bakara: trumpet; Josh Evans: trumpet; Tatum Greenblatt: trumpet; Leon Jordan Jr: trumpet; Brian Kilpatrick: trumpet; Curtis Taylor: trumpet; Tim Thompson: trumpet; Jack Walrath: trumpet; Walter White: trumpet; Chelsea Baratz, Todd Bashore, Ralph Bowen, Wade Dean, Doug DeHays, Wayne Escoffery, Tia Fuller, Rob Landham, Victor North, Jaleel Shaw, Tim Warfield, Darryl Yokley, saxophones; Mark Allen; saxophone, bass clarinet; Todd Marcus: bass clarinet; Stafford Hunter: trombone; Frank Lacy: trombone; Joe McDonough: trombone; Ernest Stuart: trombone; Brent White: trombone; Orrin Evans: piano; Jim Holton: piano; Neil Podgurski: piano; Mike Boone: bass (1); Luques Curtis: bass (2, 4-7); Mark Przybylowski: bass (3); Donald Edwards: drums (7); Gene Jackson: drums (2, 6); Anwar Marshall: drums (1, 3-5). Tracks: Chill Factor; Our Love Is Here to Stay; Paprika; Dukeisms; Kinda Fabulous; Ofuscato; I Mean You; Denise; Granite State; Secret Love. Personnel: Greg Yasinitsky: director. Tracks 1, 3: Brendan Hedel: trumpet; Miles Raker: trumpet; Brendan McMurphy: trumpet; A.J. Stevens: trumpet; Chris Siegmund: alto sax; David Crow: alto sax; Wes Maples: tenor sax; David Miner: tenor sax; Matt Lanka: baritone sax; Ian Copeland: trombone; Danny Doronio: trombone; Jaron Robinson: trombone; Aric Kleppin: bass trombone; Paxton Gehling: vibraphone; John Sterling: guitar; Troy Robey: bass; Tiffany Stephens: drums. Track 10: Dan Siegmund: trumpet; Michael Cardinal: trumpet; Brendan McMurphy: trumpet; A.J. Stevens: trumpet; Miles Raker: trumpet; Adam Donohue: alto sax; David Crow: alto sax; Chris Siegmund: tenor sax; Wes Maples: tenor sax; Matt Lanka: baritone sax; Danny Doronio: trombone; Ian Copeland: trombone; Jaron Robinson: trombone; Aric Kleppin: bass trombone; Paxton Gehling: vibraphone; John Sterling: guitar; Troy Robey: bass; Tiffany Stephens: drums. Tracks 4, 5, 7, 8: Dan Siegmund: trumpet; Michael Cardinal: trumpet; John Gronberg: trumpet; A.J. Stevens: trumpet; Miles Raker: trumpet; Chris Siegmund: alto sax; Eric Palmquist: alto sax; Adam Donohue: tenor sax; Gabe DeMiero: tenor sax; Matt Lanka: baritone sax; Patrick Sheng: baritone sax; Denise Snider: trombone; Rian DeFaccio: trombone; Cody Cates: trombone; David Bennett: bass trombone; Katie Medina: piano; John Sterling: guitar; Troy Robey: bass; Ted Powers: drums. Tracks 2, 6: Dan Siegmund: trumpet; Michael Cardinal: trumpet; John Gronberg: trumpet; A.J. Stevens: trumpet; Chris Siegmund: alto sax; Eric Palmquist: alto sax; Adam Donohue: tenor sax; Gabe DeMiero: tenor sax; Matt Lanka: baritone sax; Denise Snider: trombone; Rian DeFaccio: trombone; Cody Cates: trombone; David Bennett: bass trombone; Max Heath: piano; John Sterling: guitar; Troy Robey: bass; Ted Powers: drums. Tracks: Moods; Arctic Suite, Part 1; Arctic Suite, Part 2; Bolero at Bleiks Island; In Traffic. Personnel: Fred Glesnes: music director, tenor sax, flute; Marius Haltli: trumpet; Oyvind Moe: trumpet; Birger Nilsen: trumpet; Bengt Haugseth: trumpet; Rolf Figenschou: alto sax, flute; Oyvind Karstad: alto sax, flute; Ingvild Staff: alto sax, flute; Hakon Erlandsen: tenor sax, flute; Frode Nilsen: tenor sax, flute; Morten Michelsen: baritone sax, bass clarinet; Torbjorn Ingvaldsen: trombone; Rolf-Gunnar Monsen: trombone; Jens Kloster: trombone; Tor Kristian Innbjor: trombone; Einar Berg-Olsen: piano; Eirik Fjelde: piano, synthesizer; Kjetil Andreassen: guitar; Per Martin Grenlund: bass; Ole Morten Lekang: drums; Espen Hogmo: percussion. Tracks: King's Hunting Jig; Greensleeves; Agincourt Song; Le Baleau sur Leman; Of Knights and Castles; The Chicken; Two Equali; Hymne an die Nacht; Ave Verum; Motet: Locus Isle; Just a Closer Walk with Thee; Basie Straight Ahead; All the Things You Are; 23 Degrees North, 82 Degrees West; So What; Superbone Meets the Badman; MacArthur Park. Personnel: London Brass: Andy Crowley: trumpet; Ian Balmain: trumpet; Mike Lovatt: trumpet; Toby Coles: trumpet; Richard Bissill: horn; Lindsay Shilling: trombone; Richard Edwards: trombone; Byron Fulcher: trombone; Dave Stewart: trombone; Oren Marshall: tuba. Pete Beachill Big Broad Band: Pete Beachill: leader, music director; Andy Greenwood: trumpet; Danny Marsden: trumpet; Mike Lovatt: trumpet; Robbie Robson: trumpet; Tom Walsh: trumpet; Jamie Talbot, Pat Clahar, Liz Greenwood, Tommy Laurence, Jeff Daly: reeds; Barnaby Dickinson: trombone; Trevor Mires: trombone; Dave Liddell: trombone; Lindsay Shilling: trombone; Sarah Williams: trombone; Rob Barron: piano; Chris Laurence: bass; Ralph Salmins: drums; Gary Kettell: percussion.